The Real World: Explosion Recap, Episode 4 - "Ex-otic Encounters"
Real Housewives of Beverly Hills Recap, Episode 13 - "The Curse of Carlton"
The Millionaire Matchmaker Recap, Episode 8 - "Kid in a Candy Store and Groundhog Day"
The Real World EX-PLOSION Recap, Episode 3 - "The Departure"
The Millionaire Matchmaker Recap, Episode 7 - "The Shy Extrovert and the Rescuer"
The Millionaire Matchmaker Recap, Episode 6 - "Mr. Superficial and the Nut Job Magnet"
Too bad it wasn't her mouth that got injured. 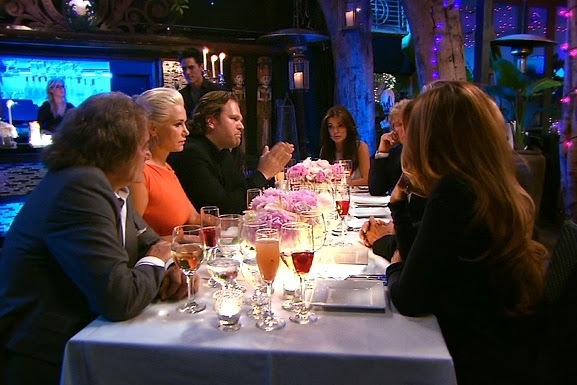 Real Housewives of Beverly Hills Recap, Episode 10 - "Catfight On The Catwalk"
The Millionaire Matchmaker Recap, Episode 5 - "The Late Bloomer and the Gay Hugh Hefner"
Real Housewives of Beverly Hills Recap, Episode 9 - "Guess Who's Coming To Dinner?" Kim Richard and son Chad.